SINGAPORE - More than 4kg of heroin worth about $299,000 was seized by the Central Narcotics Bureau (CNB) on Thursday (Nov 22). Cash amounting to more than $64,300 was also recovered during the operation. 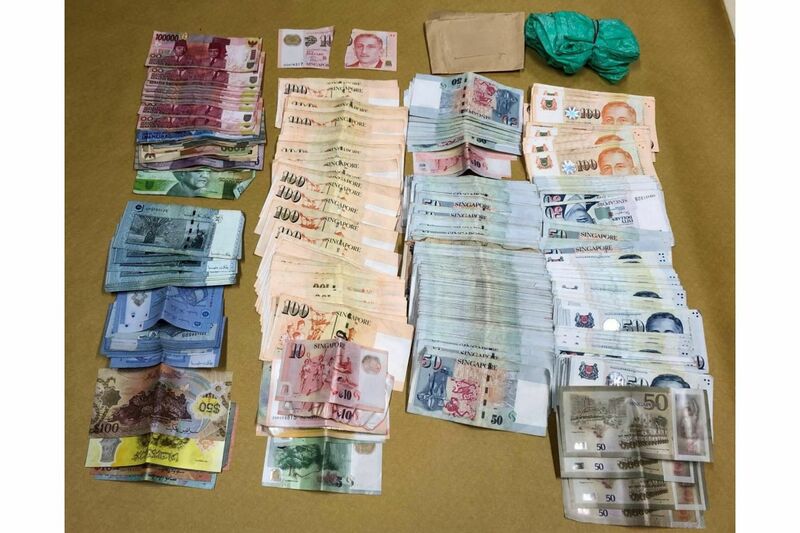 A 59-year-old Singaporean man suspected of drug trafficking was arrested in Haig Road. Officers were deployed in the area to observe the man, who was suspected of dealing a substantial amount of drugs, CNB said in a statement. The man was spotted at 2.05pm as he was exiting the lift on the ground floor of a building. He was then arrested and a bundle containing 455g of heroin was seized from his e-scooter. He also had more than $6,800 in cash on him. The suspect was then escorted to his hideout on the 13th storey of the building, where another 3.81kg of heroin was found in 14 bundles hidden behind the wooden headboard of a bed. Cash amounting to more than $57,500 in various currencies was also recovered from the unit. CNB said that the 4.26kg of heroin seized in total is "enough to feed the addiction of about 2,030 abusers for a week". Investigations of the suspect's drug activities are ongoing.